Dwarfs, bastards, eunuchs, and cripples—A Game of Thrones is filled with those who must suffer the indignity of living in a world that delegitimizes their existence. For many of these individuals, the only response to their presence is disgust. And disgust, one of Paul Ekman’s basic emotional states, becomes significant as it serves to position entities along a superior/inferior continuum. Here, even without formal titles, trappings, or structures, we witness the formulation of class distinction—a process of differentiation that almost necessarily has political implications. Put another way, the simple act of feeling an emotion like disgust is enough to transform individuals into political agents! But the objects of disgust are also inherently political creatures, according to philosophers like Mikhail Bakhtin who argue that the ambiguous nature of the grotesque body serves to articulate and contest latent boundaries in society. Tyrion, perhaps the best example of this concept, not only destabilizes the highly ordered familial social structure of Westeros through self-acceptance of his dwarfism but also demonstrates a penchant for cleverness, a trait that, by its nature, plays with established limits in thought or speech. Building on the medieval fascination with monstrous bodies (i.e, transgressions of the ideals of the classical body), this paper will draw upon work by Richard Schusterman, John Dewey, and Gilles Deleuze with respect to somaesthetics, phenomenology, and the body as political/cultural metaphor in order to explore how grotesque bodies challenge the fictional socio-political world set forth in George R. R. Martin’s series A Song of Ice and Fire. 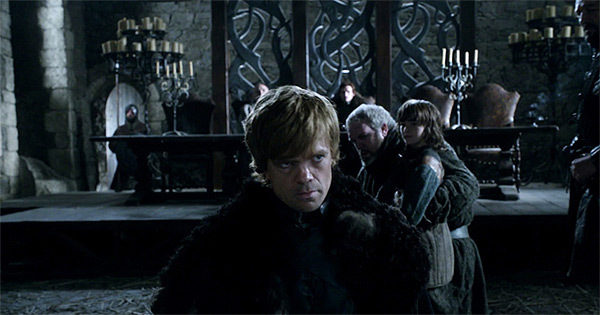 Although primary emphasis will be placed on Martin’s first book, A Game of Thrones, material from other sources (e.g., the television adaption) will be used to support the argument that grotesque bodies work to subvert the existing social structure of Westeros through their very existence as well as through their actions. Modern implications for the body as political agent will also be discussed with the hope that the reader will contemplate how changing perspectives in the late 18thcentury served to simplify the conceptualization of the body’s narrative (i.e., the ability of the body to simultaneously manifest multiple layers of meaning), a process that contributed to the disenfranchisement of the body in modern culture. Ultimately, through this process, it is hoped that readers will be given tools to reinscribe meaning onto their physical bodies as they simultaneously gain a renewed sense for the latent socio-cultural voice that lies just beneath the surface. It is important to note that this argument applies primarily to the continent of Westeros and the society developed therein. A less “civilized” space by the standards of Westeros, Essos manifests different social structures that consequentially are not largely challenged by the issues embodied in grotesque/monstrous figures. There is admittedly some reference to the grotesque among the Dothraki and blood magic that will be reconciled in the course of the paper.